A new video produced by China's military that features the People’s Liberation Army (PLA) showing off a wide range of the country's latest military technology has gone viral after its publication to social media on August 1st, the day China commemorated 'Army Day'. The just over two-minute video, called "I am a Chinese soldier" is an over the top patriotic tribute emphasizing a combination of personal sacrifice, loyalty, and a sense of esprit de corps in belonging to an elite, modernized military. 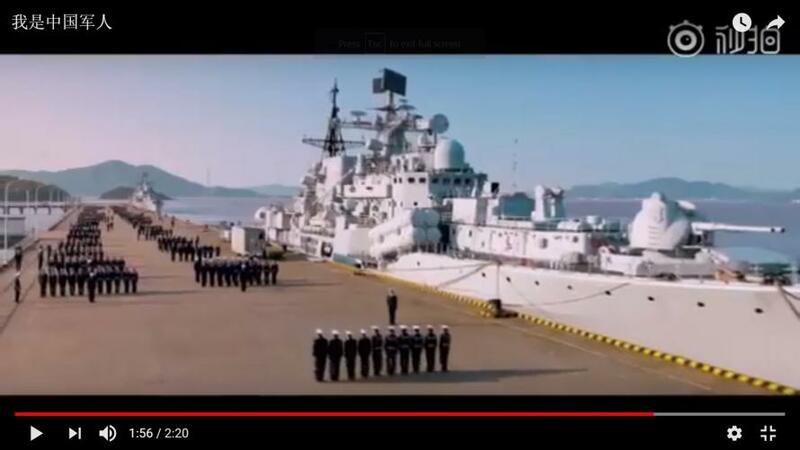 The video further appeals to a masculine sense of duty and sacrificial hardship as the there's a series of scenes in the first half depicting men saying tearful goodbyes to their children and spouses, after which infantry soldiers give fierce battle cries while waving the communist national flag, interspersed with overhead shots of huge intercontinental ballistic missiles a silo and an aircraft carrier battle group. The narration includes the lines: "Peace behind me, war in front of me. Pick up the steel gun, we must let go of the children." China has increasingly over the past year attempted to promote an image of itself to international foes and rivals as on a path of overtaking the United States and other world powers in the area of defense technology. 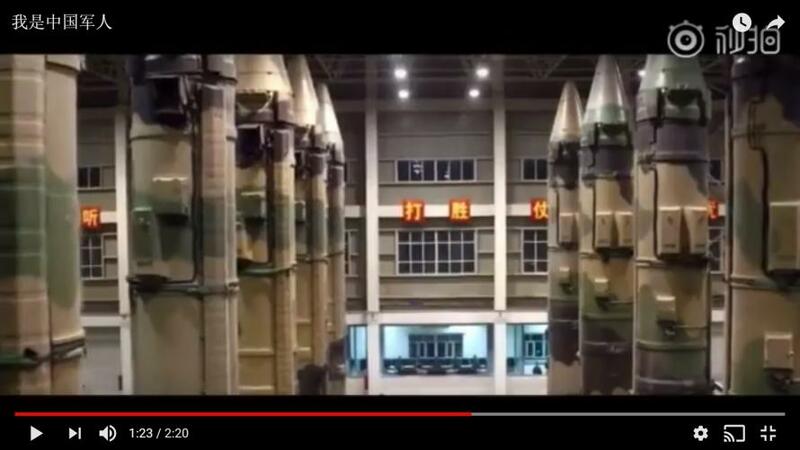 Screengrab from the Chinese military produced "I am a Chinese soldier"
Meanwhile America's top nuclear commander warned this week that both China and Russia's development of hyperonic weapons constitute a threat that the US deterrent arsenal currently cannot defend against. Air Force Gen. John Hyten warned the two countries are not America's "friends" and that the new military technology threat should be taken with urgency and seriousness. "You can't call them [Russia and China] our friends if they're building weapons that can destroy the United States of America," Gen. Hyten said.